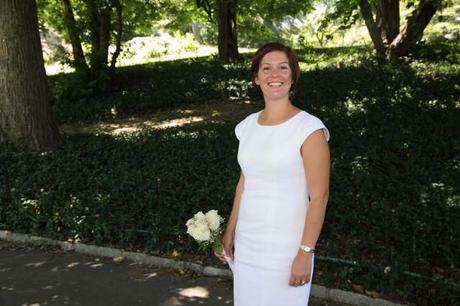 I’m Claire, I have been running a business planning weddings for couples who want to get married in Central Park since 2012. Partly to show case the gorgeous weddings we have been involved in to tempt others to marry in Central Park, and to show that we are a real business, which is comforting for clients who hand over the deposit to someone they have never met. It is also there to provide more detailed information and photos than I can feature on the website without getting too cluttered. Weddings in Central Park, New York. The majority of features are of real weddings that have taken place in Central Park. Over the years of writing it, though, I’ve written more general advice pieces, that are long answers to frequently asked questions, or things that I find myself telling people a lot. I feature some real weddings that have not taken place in Central Park, which I hope readers will find useful for inspiration for their own weddings. I also post general summary pieces that I think would be useful for those considering a wedding in Central Park. Did you plan every wedding on this blog? Most of them, but not all. You will be able to tell which ones are mine and which are not if you read the posts. Will you feature my wedding on the blog? If you got married in Central Park and you planned it all yourself, then yes for sure! Just let me know the names of the people who were involved in your wedding so that I can credit them. If you were married anywhere else in New York City then I would probably still be interested, because I think my readers would be interested. Thanks but no. The business is run solely by me, all the weddings are planned by me, and this blog is my voice. That’s how I like it. I want to do what you do for a living, what is your advice? Find your niche. There will be something special about your knowledge and experience, you should use that. I am British and I got married in Central Park, so I wanted to help other visitors do that same with what I had learned while planning my own wedding. Also, learn about search engine optimisation. Yes, but only if I think my readers will find them useful. So, imagine if you were considering getting married in Central Park, New York. Then decide if your subject matter might be helpful, interesting, inspiring or valuable in any way. Yes. I have written lots of guests posts, mostly for other wedding blogs, usually all about getting married in Central Park – how best to do it, why you should do it, who else has done it, and what’s so great about it. I really like doing that. Please contact me if you would like me to write something for your blog. I also freelance write for other blogs, usually any wedding-related subject, contact me if you would be interested in having me do that for your blog. 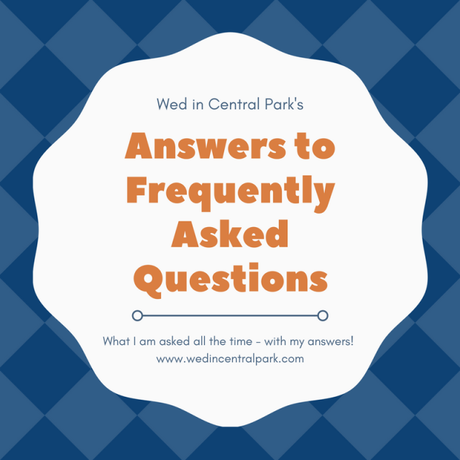 I have a FAQs page on my website for many of the questions I get asked most frequently when planning weddings. Please comment below if you have a further question that I don’t answer here or on my website. I update the website FAQs occasionally.